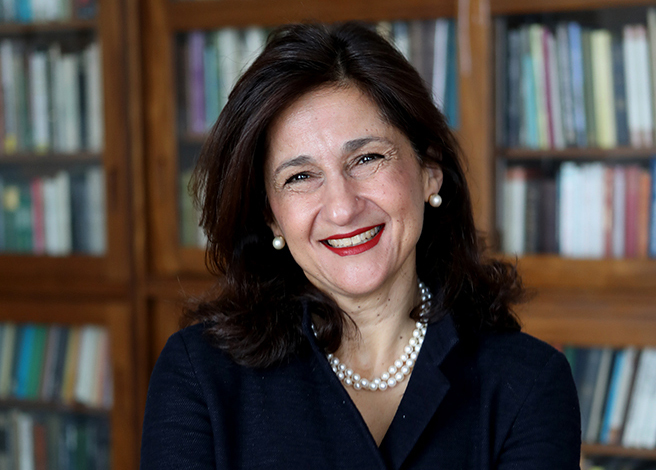 London – 4 December 2018, 2018 – 100 Women in Finance (100WF), a global, practitioner-driven non-profit organization that serves more than 15,000 professionals in the finance and alternative investment industries, announces today that Dame Minouche Shafik, Director of the London School of Economics and Political Science (LSE), will be presented with the 100 Women in Finance 2018 European Industry Leadership Award at the organisation’s annual London Gala on 13 February, 2019. Each year, 100WF identifies a woman whose professional talent, business ethics, and passion for investing help define and advance the industry’s standards of excellence. An economist by training, Dame Minouche Shafik has spent most of her career straddling the worlds of public policy and academia. After completing her BSc in Economics and Politics at the University of Massachusetts in Amherst, she took an MSc in Economics at the LSE before completing a DPhil in Economics at St Antony’s College at the University of Oxford. 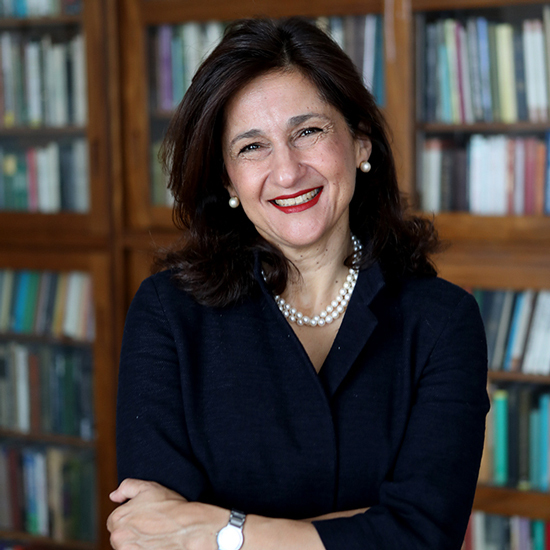 During her 15 years at the World Bank, Shafik worked on its first ever World Development Report on the environment, designed reform programmes for transition countries in Eastern Europe, and developed proposals for economic integration in support of the Oslo Peace Process in the Middle East. She became the youngest vice president in the history of the World Bank at the age of 36. Shafik returned to the UK in 2004 and rose to become the Permanent Secretary of the Department for International Development, where she was responsible for the UK’s development assistance efforts around the world. She joined the IMF in 2011 as Deputy Managing Director with responsibility for many of the crisis countries in the Eurozone and the Arab countries in transition. She also oversaw the IMF’s university, which trains thousands of government officials each year, and was responsible for human resources and an administrative budget of $1 billion. From 2014-2017 she was Deputy Governor of the Bank of England, responsible for a balance sheet of over £475 billion, and sat on all of the Bank’s major policy committees (Monetary Policy Committee, Financial Policy Committee, and Prudential Policy Committee). She also led the Fair and Effective Markets Review, which put in place a set of reforms to tackle misconduct in financial markets. She became Director of the London School of Economics and Political Science in 2017. The LSE is one of the world’s leading universities with over 140,000 alumni across 200 countries and produces research and ideas that shape thinking globally. Shafik also serves as a Trustee of the British Museum, the Council of the Institute for Fiscal Studies, and is Honorary Fellow of St. Antony’s College Oxford. She holds honorary doctorates from the University of Warwick, the University of Reading, and Glasgow University. She was made a Dame Commander of the British Empire for services to the world economy in the Queen’s New Year’s Honours list in 2015. “100WF in Finance is pleased to honour Dame Minouche Shafik for her outstanding achievements in the financial industry, both for our nation and in the international arena. Her leadership across diverse aspects of economic reform and development, operations, education and policy has had a significant and long-term impact across the globe. She is truly an inspiration to the next generation of women in the finance industry,” said Kathryn Graham, Head of Strategy Coordination, Universities Superannuation Scheme Ltd, and 100WF London Board Chair. Each year, 100WF’s Board of Directors selects a charitable organisation for its philanthropic initiative on a rotating basis from the focus areas: women’s and family health, investing in the next generation and education. This year’s global theme is education. Net proceeds from the London Gala will be given to the “Heads Together” initiative of The Royal Foundation focusing specifically on mental health initiatives for children and young people.